There’s nothing better than a visit to your hair stylist to get your hair in tip-top shape. Whether you’re visiting them prior to a big event or if you just need to rejuvenate your hair, a good stylist will be able to meet your needs. However, neglecting your hair up until that point isn’t doing your stylist or you any favors. A good quality hair care routine at home is more important than routine visits to the salon. Stylists can easily identify when you’ve neglected your hair. 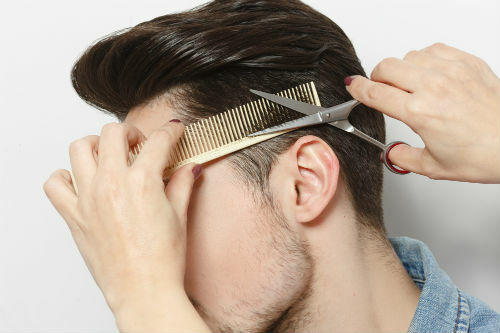 Here are the most common mistakes you could be making with your hair that your hair stylist may bring to your attention. 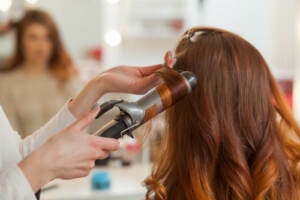 If you spend a lot of time and money at the salon, you owe it to yourself to invest in quality hair care products rather than just buying the cheapest products at the supermarket. The ingredients in these products are potentially damaging, and the average person doesn’t even realize it. Most shampoos have sulfates, so one of the most basic tips is to find a sulfate free shampoo to keep your hair as healthy as possible on a daily basis. 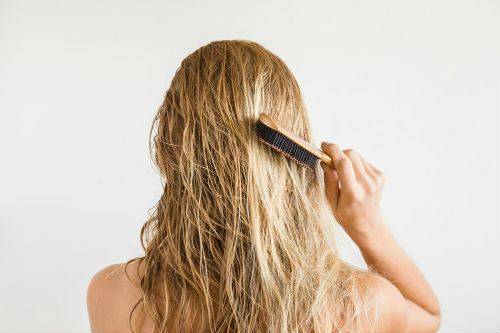 There’s no better way to break your hair strands than brushing it when it’s wet. Not only is it easier to brush dry hair, it’s also stronger when it’s dry so you can prevent breakage. 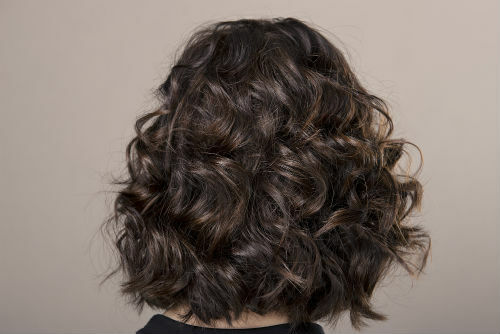 When you have tangled hair, your stylist may recommend brushing it prior to getting in the shower while it’s still dry. Then when you get out of the shower, you can use a brush specially designed for wet hair and run through it seamlessly without having to struggle with knots or tangles. It’s too easy to just pull your hair up in a ponytail when you’re in a rush or having a lazy day. But doing this too often could be damaging your hair more than you think. Pulling your hair back into a tight ponytail puts a lot of stress on it, and can lead to breakage. Most of the time the breakage will occur around the crown and can sometimes even create damage at the follicle. You don’t have to follow a strict quality hair care routine every day, but try not to make it a habit to default to wearing a ponytail multiple times every week. RemySoft is here to give you all the tips and tricks the average hair stylist may not give you. Knowing what mistakes you’re making and how to correct them can help you maintain your shiny and healthy hair for longer periods of time. Plus, you’ll always have great-looking hair that looks like you just came from the salon. For more tips like this and what quality hair care products you can be incorporating into your hair, contact us today. Is Your Hair Color Ready for Fall? Summer has drawn to a close, which can mean many different things for your hair. You may have gone with a lighter color for the summer and now want to go with a darker tone for the fall. Or you may want to change up the style drastically. Either way, the change in seasons is a perfect time to consider new options. And with the right hair products for Remy hair, you can maintain your new color or style throughout the fall months. Here are the top hair colors you don’t want to miss this fall. If you’re ready to step out of your comfort zone and get into the spirit of fall, then the orange ombre hairstyle may be perfect for you. The great thing about the ombre style is you don’t have to make a drastic change and have completely orange hair. You can play around with the shade of orange you go with, and the faded color down to the tips of the hair can make the change seem less drastic. Just be sure to use the hair products for Remy hair designed to maintain the color so it always looks great. The strawberry blonde hair color is one of the most popular fall styles, as almost anyone can pull it off. It’s not too light or dark, and your stylist can tweak the color to customize it to your liking. Since the strawberry blonde isn’t a drastic color, people like to start out with it at the beginning of the fall since it creates more of a subtle transition that fits right in with your usual quality hair care routine. The standard brunette color can be a major change if you have a lighter hair color. But if you’re already a brunette and don’t necessarily want to go all blonde, consider incorporating highlights. There are plenty of warm highlight colors to add a subtle change to your hair without drawing a lot of attention to it. Just be sure to use the best sulfate free shampoo you can find to ensure the highlights maintain their color for as long as possible and don’t fade quickly. Not sure whether you want to go more blonde or brunette this fall? Caramel may be the best option for an in-between color for you. You could make your entire hair color caramel, or just add in some caramel highlights. Either way, this color isn’t too light or too dark and often provides the perfect transition for people who aren’t quite ready to make drastic changes to their hair color. RemySoft is your one-stop shop for all the hair products for Remy hair you will ever need. We know exactly what products to use for any hairstyle or color. Fall is the perfect time to experiment with different options, so take advantage of it. And never hesitate to contact us if you have any questions or need some hair care tips. The Emmy Awards never disappoints when it comes to seeing unique hairstyles, and the 2018 edition was no different. Every time a different celebrity walked down the red carpet, you couldn’t help but notice the tight curls, the beach waves, the creative textures, the accessories and more. 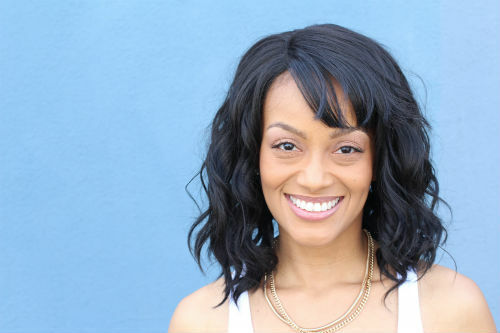 Some celebrities chose to go with hair extensions to create length and volume, but others were rightfully satisfied with going with a shorter look. It was difficult to narrow them down, but here are five of the most impressive hairstyles we saw at the Emmys this year. RemySoft gets a lot of inspiration for hairstyles from events like the Emmy Awards. 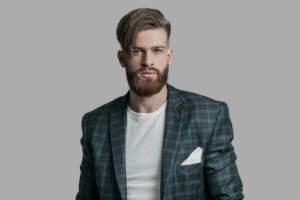 As a result, we’ve collected numerous notable hairstyles and help people pull them off every day. The great thing about most of the celebrity hairstyles you see at the Emmys is the average person can recreate the look with the right quality hair care routine and using the best products for their hair. To learn more about both, don’t hesitate to contact us and we will help you achieve the hairstyle that stood out to you the most at the Emmys. One of the biggest mistakes people make when trying to get shiny hair is using too many products. 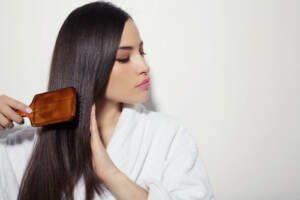 Some people are lucky enough to have naturally healthy hair that has a natural glow to it, but other people have to use the right amount of hair products for Remy hair to achieve the same results. The good news is you don’t have to change up your routine much to add some shine to your hair. 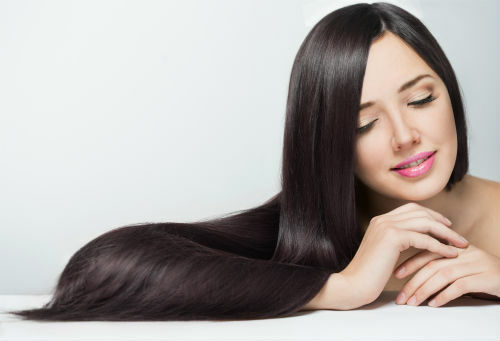 Here are some of the most effective tips to instantly have shiny hair. Protecting your hair from the outdoors and other elements is an underrated aspect of achieving shiny hair. Moisture is one of the harshest elements for hair and can strip the shine right out of it. To combat this, a quality leave in conditioner may do the trick. Using hair products like this to provide the hair with the moisture it needs to remain shiny will prevent it from drying out and getting frizzy. It’s tempting to continue piling on products in hopes that your hair will retain some moisture and restore its shine. However, once it reaches a certain point, your hair could turn into a greasy mess. 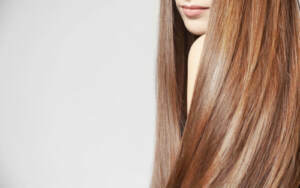 A good quality sulfate free shampoo and leave in conditioner combination is often all you need to have the best shine. But if that doesn’t do the trick, then there are plenty of other hair products for Remy hair to experiment with. Just don’t use too many at once. Washing your hair too often will strip the natural oils from it. You may be thinking your hair will look greasy if you don’t wash it with a sulfate free shampoo every day, but you’re actually keeping it healthy by skipping a wash. Your glands will work to produce more oils immediately after the oils are stripped, so the more you wash, the harder the glands will work. Skipping a day or two every now and then is good for your hair, and you may be surprised at the shiny results. We’ve all heard the phrase, “you are what you eat.” The same is true when talking about your hair. For the healthiest and shiniest hair, your body needs a balanced diet with the right amount of protein. So if you’ve struggled with getting your hair to look like you want it despite using numerous combinations of products, consider altering your diet for a few weeks and you may notice positive changes in your hair. RemySoft thinks everyone deserves to have sleek and shiny hair if it’s something they want to achieve. Too many people give up trying to get their hair to look a certain way, and we are here to help. 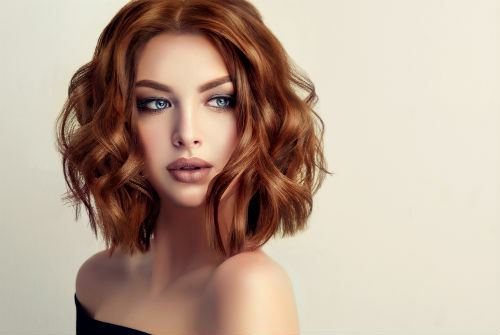 We understand how frustrating it can be sometimes, but we have the right hair products for Remy hair, along with years of expertise, to help you have the locks you’ve always wanted. Don’t hesitate to give us a call and we will offer some guidance to transform your hair to the shiniest hair you’ve ever had. It’s only natural to want what you can’t have, especially when it comes to your hair. People with thin hair always dream about having thick hair, but do all people with thick hair absolutely love their locks all the time? Thick hair can open up a lot of different styling options, but caring for the hair on a daily basis requires a little extra effort. Using the right hair products for Remy hair can help, and here are some other tips on how to properly care for your thick hair. Thick hair tends to dry out quicker than thinner hair, so it’s important to keep it hydrated. Dry hair may lead to frizzy hair that’s difficult to maintain and style. Many hair products for Remy hair have a moisturizing effect to them, which can help keep the hair hydrated as much as possible. Some ladies with long and thick hair will even keep a spray water bottle on them and give the hair a quick spray throughout the day to keep the hair tamed down. 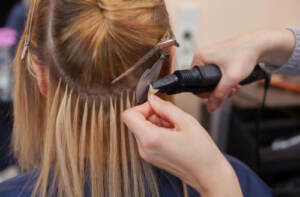 Heating tools not only damage the hair, but they can make thick hair frizzy quickly. However, not all heating tools are alike. If you rely on yours, consider investing in a higher quality one similar to those used in hair salons. A quality heating tool can ensure your hair looks great without damaging it. But if you don’t want to make the investment, then at least turn the temperature down to the lowest setting on your current heating tool to protect the hair as much as possible. You should always use a sulfate free shampoo and conditioner every time you wash your hair. However, people with thick hair can actually benefit from skipping a hair washing session every now and then. Washing the hair too often can strip the natural oils from the hair and make it difficult for them to catch up. This leads to dryness, which is a nightmare for anyone with thick hair. Using a sulfate free shampoo and conditioner to wash your hair a couple times each week will keep your hair healthy and shiny without drying it out. Often times your hair will simply stop growing, or won’t get as long as you’d like it to. 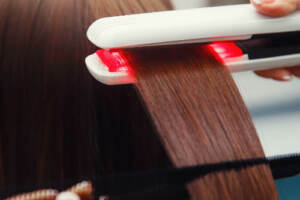 If this happens, then using hair extensions may be your solution to adding length to your already thick and long hair. Since hair extensions add thickness and volume, it should be easy to blend them into your natural hair. RemySoft has all the hair products for Remy hair you need to be satisfied with your thick hair. We know exactly what you go through on a daily basis, and we are here to tell you it’s well worth the effort. Embrace your thick hair and incorporate these tips and you’ll be well on your way to having the hair you desire every single day. And never hesitate to contact us for more tips or for product recommendations specific to your hair.